Jonathan Rothwell, who authored “The Hidden STEM Economy,”widened the lens to create a broader definition of a STEM job, and included people who work in fields like nursing and industrial construction. He found they make up 22-percent of the St. Louis region’s work force. 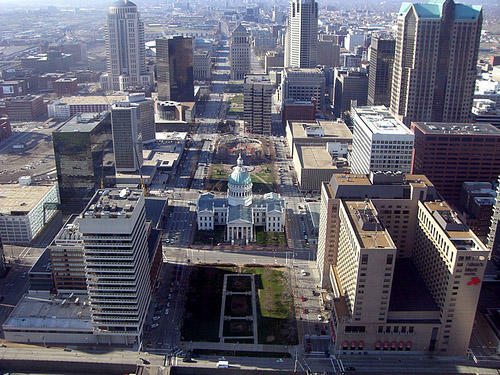 So, how does’ St. Louis stack up nationally? As far as the percentage of jobs that require some STEM training, Rothwell says the St. Louis region sits at number 18 out of the top 100 large-metro areas. In 2011, 26 million U.S. jobs, 20-percent, required a high level of knowledge in any one STEM field, according to the report. Rothwell says retraining for jobs that require STEM knowledge can bolster the middle class in the St. Louis region and across the country. “An associates degreed, or a certification program can be a low cost way to upgrade the skills of a large number of workers who might not otherwise obtain a bachelor’s degree, but yet can still give them a satisfying and decent paying career,” Rothwell says. Utilities, professional services, construction, mining and manufacturing are the five most STEM-intensive sectors, according to the report. Nationally, though, the report notes that a narrow definition of what counts as a STEM job has resulted in only one-fifth of $4.3 billion going toward training below the bachelor’s degree level. At the same time, twice as many federal dollars go toward Bachelor’s or higher level-STEM careers and the vast majority of National Science Foundation spending ignores Community Colleges, according to the report.